How often do you get to sit down and chill out with a good book? Well if you are like me it probably isn’t very often at all, the moment I pick a book up and get to a gripping bit somebody needs me for something and I lose track of the storyline. 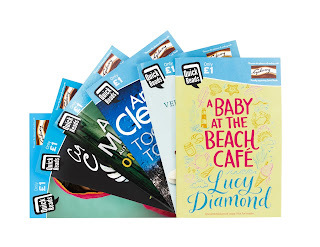 If you are short on time then Galaxy Quick Reads have six exciting new titles for 2016 and they cost only a £1 each. These books are ideal for busy mums, or indeed anyone who struggles to sit and read for any length of time. From gripping murder mysteries to a true story there is bound to be one that you will enjoy. I love these short books and the stories are so enjoyable along with a bar of Galaxy. You can find more information over at Quick Reads. I was sent a selection of the quick reads free of charge for the purpose of this review.